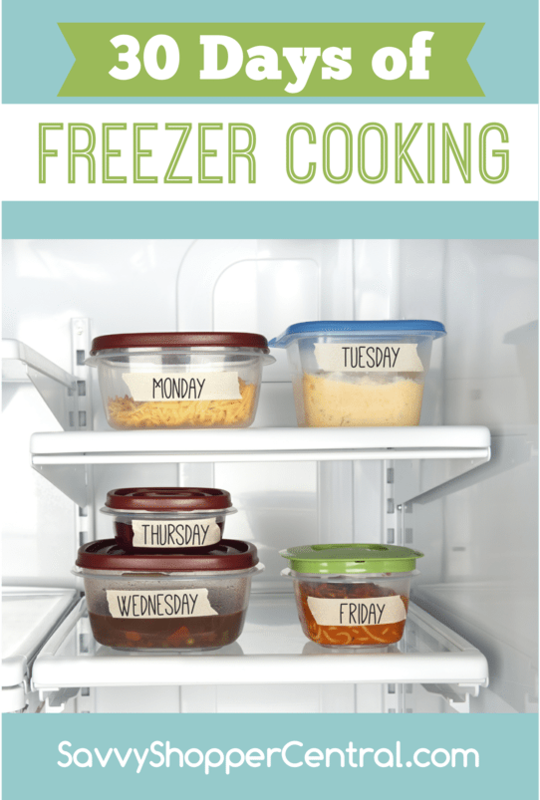 Getting started with freezer cooking to save time and money, but aren't sure which foods freeze well? Check out this list to get you started! Fruits – Some fruit gets soggy after frozen, but if you're going to use it for something like jelly/jam, yogurt, ice cream, or smoothies then the texture doesn't really matter. Vegetables – All vegetables freeze well, but some reheat better than others. Asparagus, green beans, broccoli, lima beans, carrots, corn, cauliflower, onions, peas, peppers, zucchini, and spinach are my favorites. You can slice them or dice them, and then put the veggies into freezer bags to freeze them. I like using Neat-os, because the last thing you want to do is spend a ton of time on freezing veggies only to have them get ruined with freezer burn! Note: Lettuce, celery, and other watery-veggies don't freeze as well. Meats – Obviously you can freeze raw meat, but cooked meat freezes well, too! This includes fish, poultry, pork, and beef. You can cook it up in a ground version (like for tacos or spaghetti), shred it, or slice it – no matter how you cook it, it will freeze well for months at a time. Just be sure to use heavy duty freezer bags, or double bag it so it doesn't get freezer burn. Dairy – Butter, block cheese, cream cheese, yogurt, and even milk all freeze well! If you're going to freeze an entire gallon of milk, remove about a cup because it will expand and you don't want it to bust. With cheese, you need to slice it first (or shred it), so it doesn't crumble. Sweets – Brownies, cookies, breads, rolls, muffins, cupcakes, and cake all freeze well. You'll want to double-bag them or freeze them in storage containers, and be sure to frost the cakes and cupcakes after you defrost them for best results. Miscellaneous – Beans, rice, herbs, and raw or even cooked eggs all freeze well. Don't forget to check out the rest of our 30 Days of Freezer Cooking series!